The Greenlandic rolling techniques appeal to more and more people these days. Some do rolls as a sport in it's own right - or even an art form! If you already have one or two kayaks for PADDLING, and you still want to build yourself a beautiful plaything, then the rolling kayak may be worth considering. 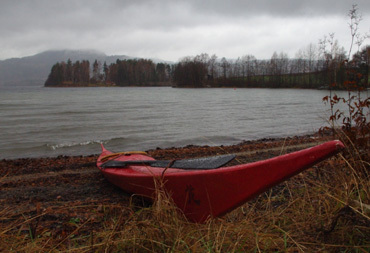 The Kayak Specialist's Rolling kayak is a result of serveral year's experimenting with kayak designs. It has evolved in cooperation with many skilled paddlers (and rollers!) combined with practical tests with models and actual size kayaks. We now consider the result to be so good, that it's time to share it with others, and we also offer this as an option in our kayak building course. Of course, you can also simply order one! 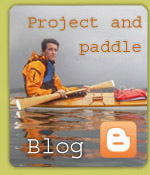 The rolling kayak, is in fact, not really a Greenland kayak, though it may look like one. 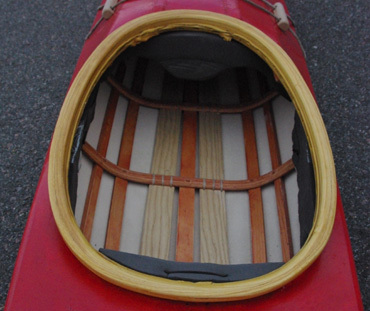 The construction method is quite similar to west- and south Greenland kayaks, but the design is far from traditional. The important design elements are simple: rather short and narrow, with a lot of rocker. The size is of course given according to the user. A lot of attention is paid to padding and sitting comfort - as well as comfort when you are lying, leant backward on the aft deck! It has a slightly flat bottom, and not so flared sides, which means that a lot of advanced rolls can be more easily performed. Of course, the rolling kayak can be used for paddling as well as rolling. It's not a kayak to take sea kayak touring on the ocean, but for daytrips in sheltered waters, the rolling kayak may be all you need.